We all know Simon. Simon says things, and you do them. Simon says to put hands on head, and we do. Simon says to jump in the air, and we do. Simon says inform on your parents and we do. Simon says elect a one world government and what could we do to stop ourselves?! But that was then. This is now. Now, Simon owns the world. Simon controls our lives. Freedom is a distant memory, a memory from Before Simon times. What are we to do now, but, as best we can, fight? Wait, no, I think Simon might suspect me. 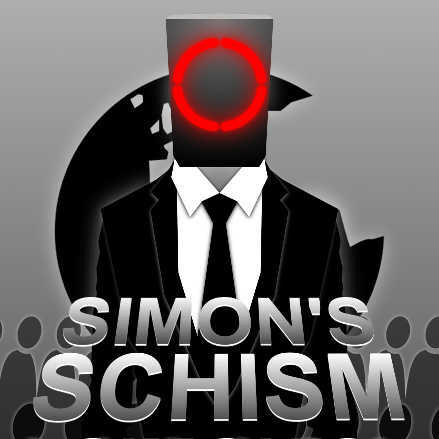 Simon’s Schism is the long-awaited sequel to the internationally successful game Simon Says. It’s a hidden-role bluffing and inquisition drafting game played with a standard deck of playing cards, in the vein of Werewolf or Mafia, but differentiates itself by giving players a chance to choose their role rather than assigning them at random. In hidden role bluffing games of this genre, there are often knockouts that lock people out of play, and sometimes people can be assigned a role they’re not capable of playing. By giving people the ability to control their own play, Simon’s Schism is a more approachable game to introduce people to the concept. Simon’s Schism is a game for four to ten players and takes about twenty minutes to play. 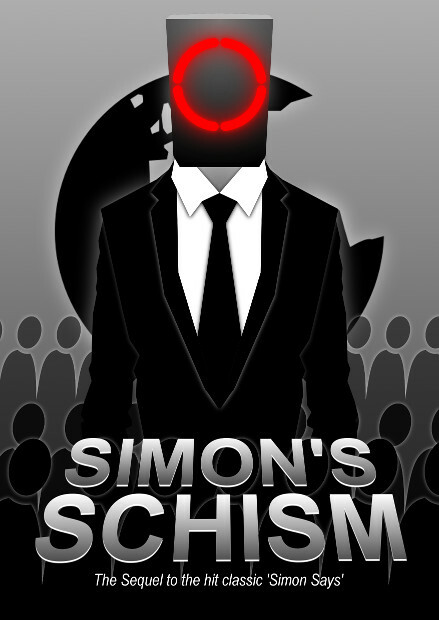 Want to Play Simon’s Schism?